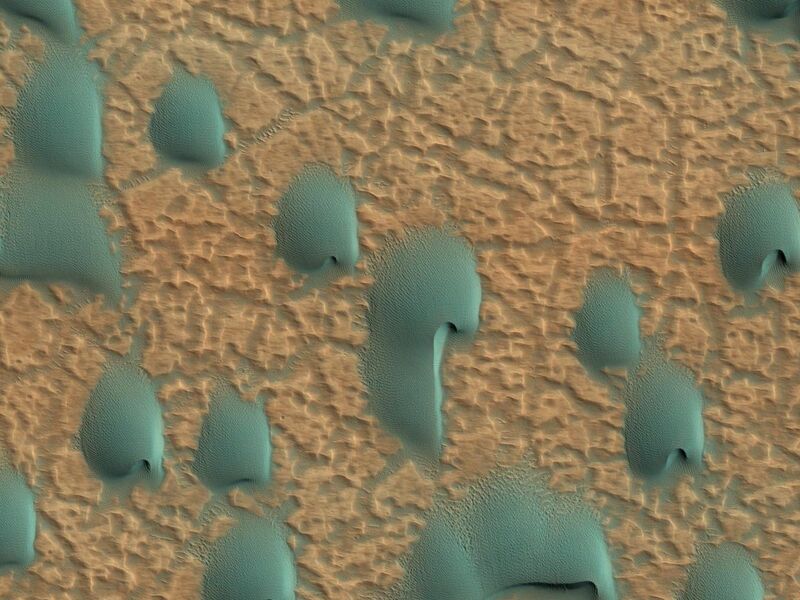 When there are perfect conditions for producing sand dunes--steady wind in one direction and just enough sand--barchan sand dunes form. The word "barchan" is a Russian term because this type of dune was first described in the desert regions of Turkistan. Barchans have a gentle slope on the upwind side and a much steeper slope on the lee side where horns or a notch often forms. The wind in this case came from the southwest. 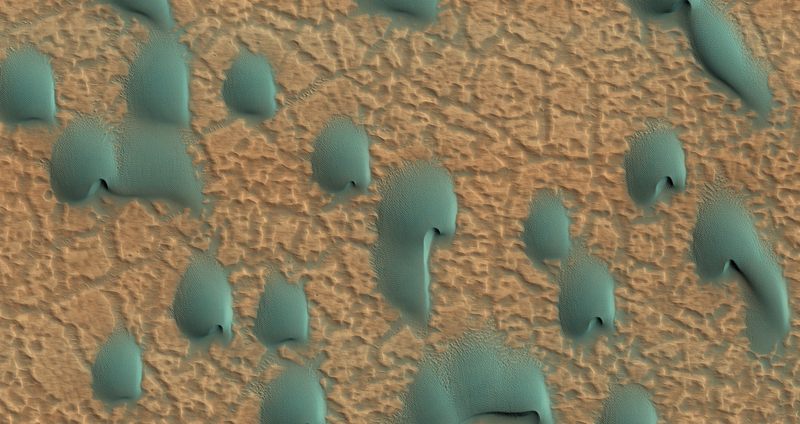 Observing dunes on Mars can tell us how strong the winds are, as well as their direction. 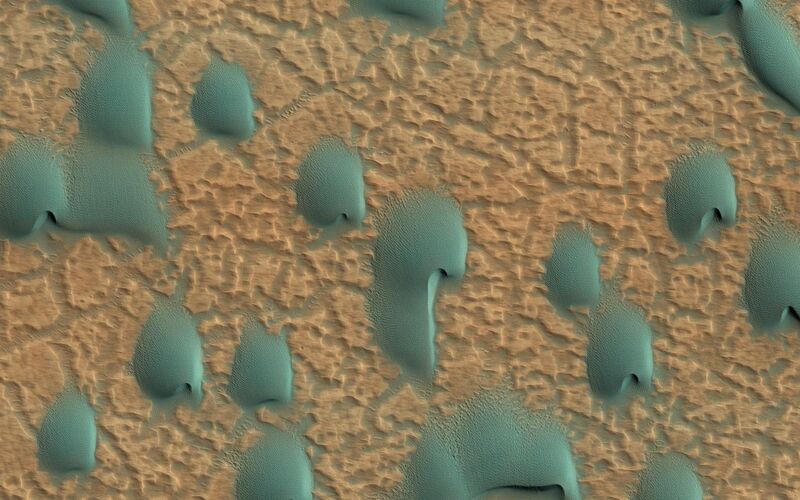 If pictures are taken at regular intervals, one may see changes in the dunes and in ripples on the dunes' surface. The color in the photograph is not the same as we would see with our eyes because an extra color (infrared) is added. Our eyes cannot detect infrared, but it is used because it can give us clues to the composition of the surface. 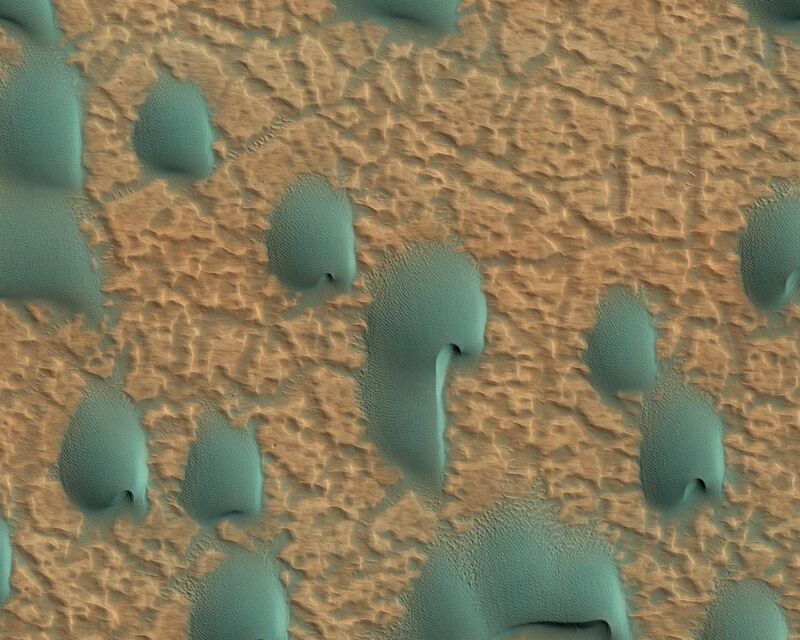 On Mars dunes are often dark in color because they were formed from the common, volcanic rock basalt. In the dry environment, dark minerals in basalt, like olivine and pyroxene, do not break down as quickly as they do on Earth. Although rare, some dark sand is found on Earth, for example in Hawaii which also has many volcanoes discharging basalt.